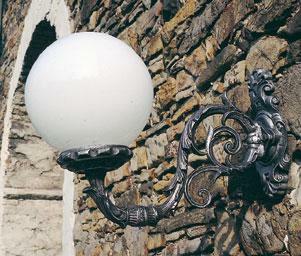 The optional crown-arm connection bracket adds about 4 to the crown height. 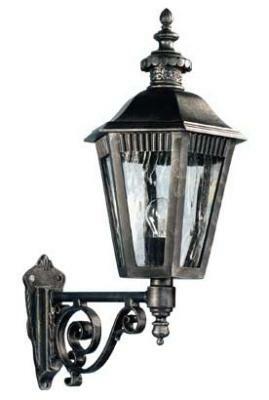 Great fixture. 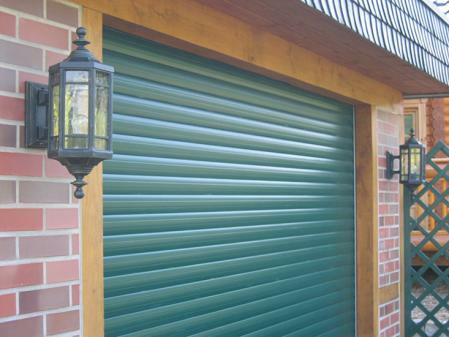 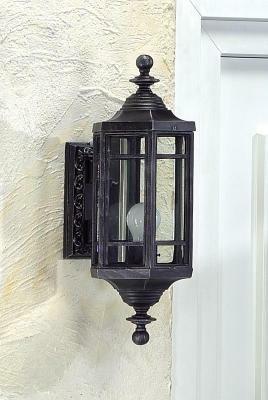 May be placed above your entry door! 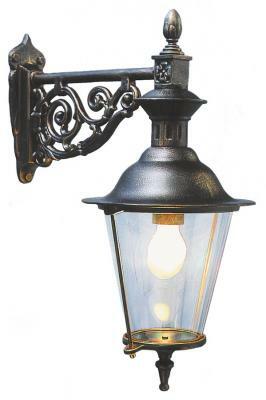 Optional crown-arm connection bracket adds 4 to crown height. 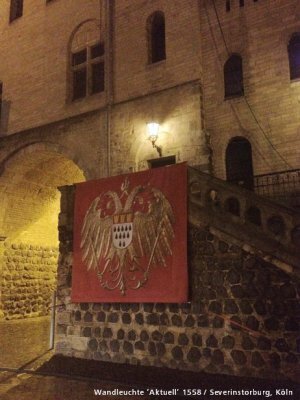 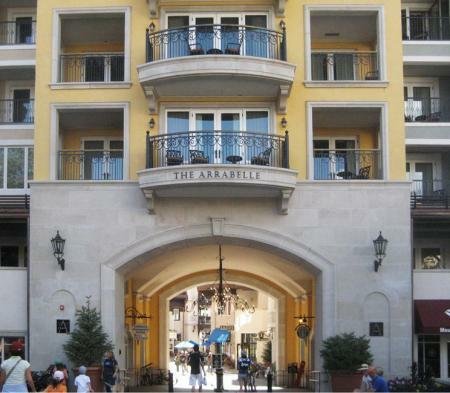 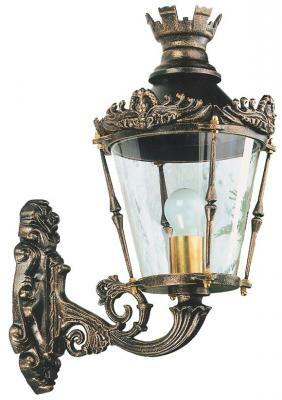 Uses a very ornate wall plate that fits well in narrow places. 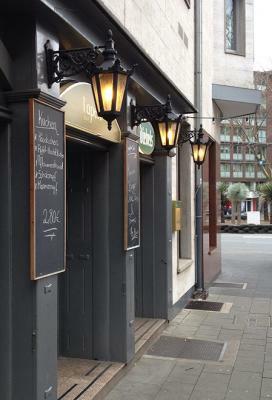 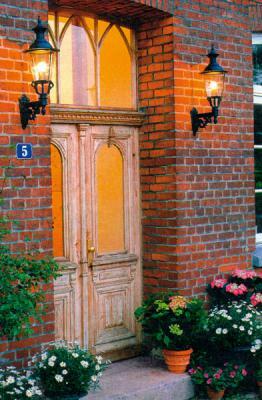 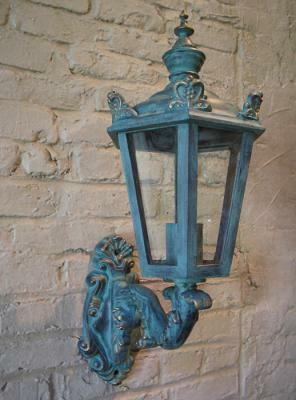 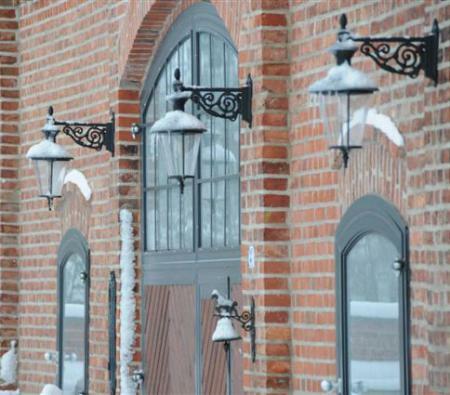 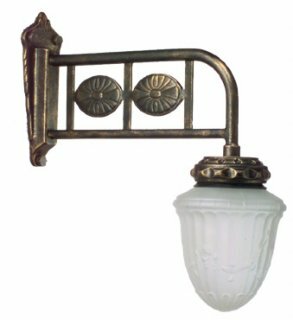 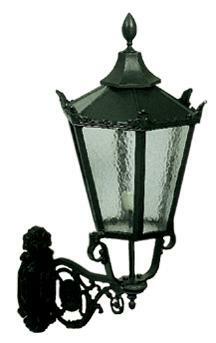 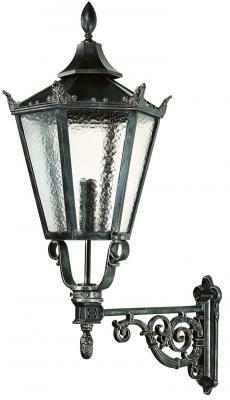 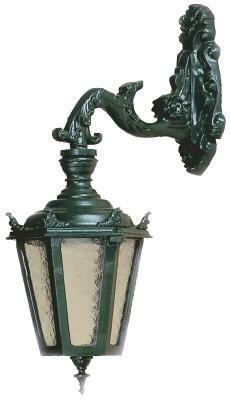 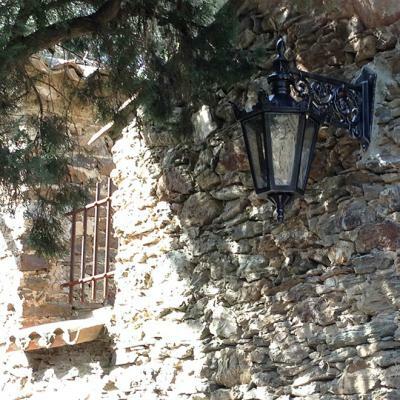 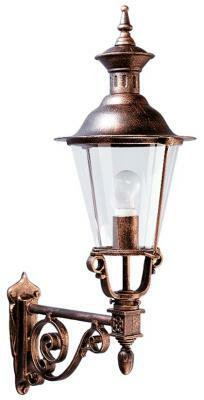 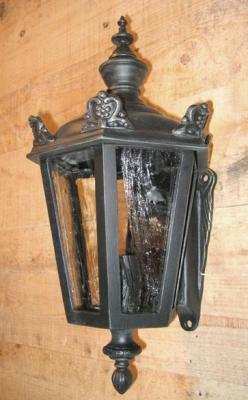 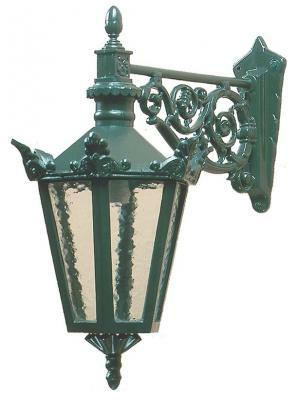 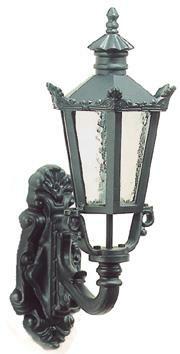 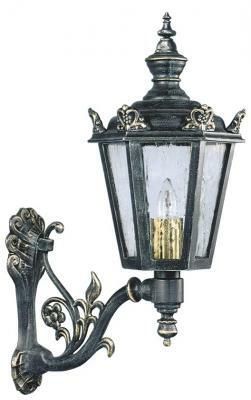 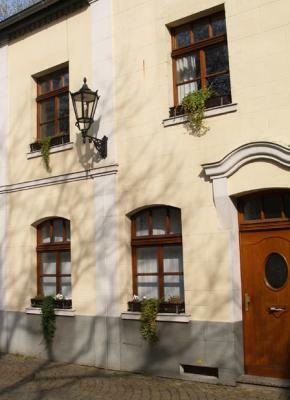 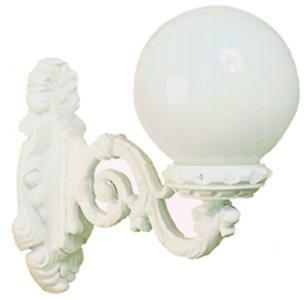 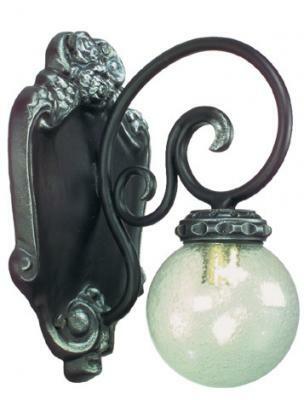 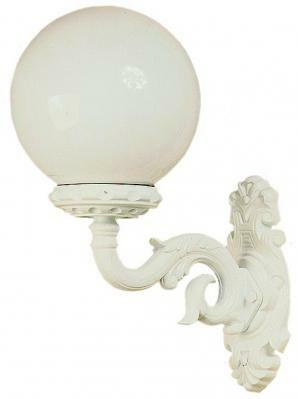 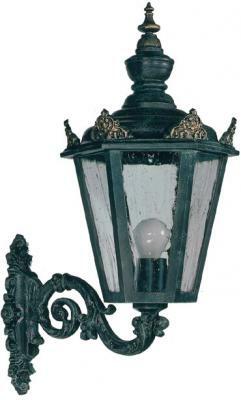 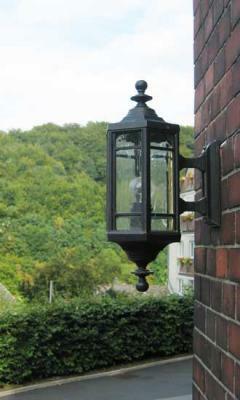 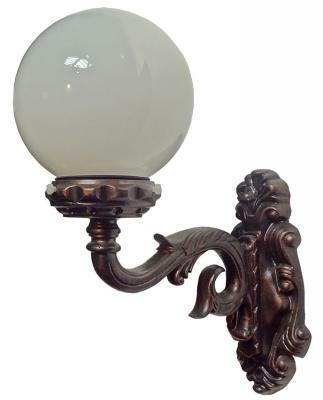 Also available as pointing up wall lantern. 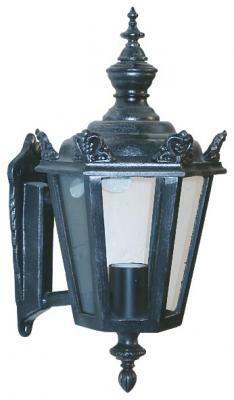 May carry up to three regular sockets (E26). 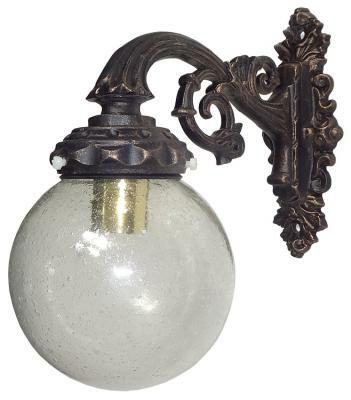 This fixture uses a very decorative glass globe.